We sincerely hope that October has been very good for you. If it’s not, no worries still. In this post, we’ll reveal some of the most exciting and highly-anticipated casino promos from our dear friends at Gala Casino, Mr. Green Casino and Royal Panda Casino. There’s no way that you can’t feel the good vibe in this new wave of exciting deals from these highly trusted UK casino websites. Everything is here! Love Blackjack? There’s a surprise waiting for you! Mad for slot machine? Then a new game is coming right up for you! Roulette enthusiasts? Of course, we have one for you right here! So buckle up and get ready as we are about to lay down what’s in store for all of you. What a way to start the fun! 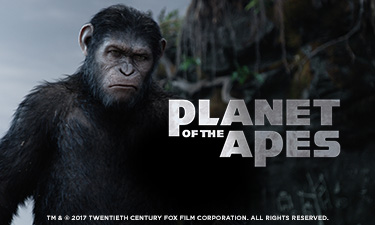 The cuddly giant casino panda is celebrating the launch of its new epic slot machine game, “Planets of the Apes.” For three action-packed days, the casino will be giving away 75 Royal Spins plus the chance to join the “Planets of the Apes” tournament with a cash prize worth £1,500! To take part of this promo, simply deposit £25 or more between Oct. 23 and Oct. 25 to get 25 free spins. 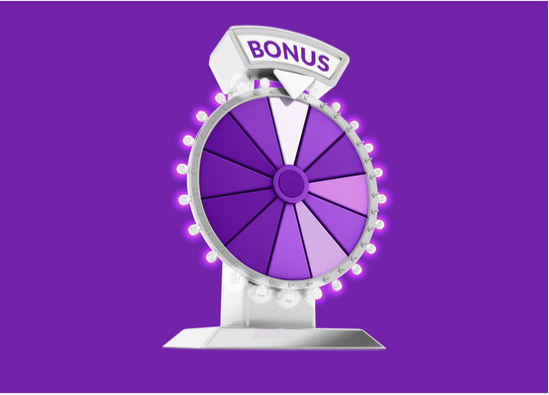 If you deposit £250 or more, you’ll receive 25 Royal Spins worth £2 each! Deposit £250 for three days and you’ll get a total of 75 Royal Spins worth £150! For the tournament, play 20 consecutive rounds or more between Oct. 23 and Oct. 25 and make your way to the top of the leader board. It’s a race! If you manage to get there first, you’d get a whopping £500 which will go straight to your account. Ready to pound the reels and go wild? Sign up for your Royal Panda account today! It’s another LIVE Roulette challenge here at the dapper Mr. Green’s casino place. The stakes are high, the fun is beyond the limit, and the prizes are just too good to be true, but they’re true, nevertheless! 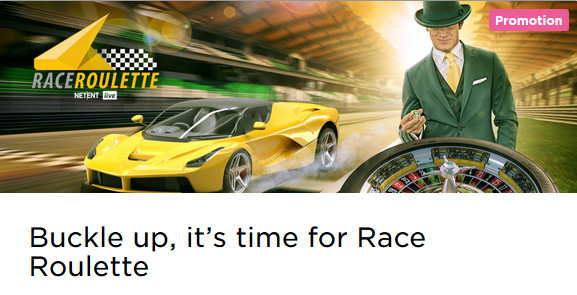 Yes, it’s time to buckle up for the LIVE Roulette Race challenge where each day, you’d get loads of bonus money to fuel up your casino gaming drive. Every day, within the month of October, bet a total of £20 on NetEnt’s LIVE Race Roulette and you’d receive £5 in bonus money. With a few days left before this month ends, we urge you to take part on this great offer from NetEnt. No account yet? Then better make you Mr. Green Casino account today! It’s a spinnin’ Sunday bonus madness here at Gala Casino! Win as much as £200 or £250 for VIPs in bonuses every week, for this month. This is offered exclusively for Live Blackjack players. On Sundays, just go to Live Casino, click Exclusive Blackjack, Find Table and get dealt with one of the 10 “What You Want” cards by the dealer. If you have it, then it’s your chance to spin the wheel! Prizes may include cash prizes bonuses or your stake doubled! Moreover, if the dealer gets a bonus card, then every player seated at the Exclusive Live Blackjack table gets a £20 bonus. Ain’t that sweet? Join the Gala Casino family today!